Leaning under the hood of a cherry red BMW M4, Marine Corps Master Sgt. David Lopez rattles off some of his considerable knowledge about the guts of a sports car. He points out the air intake, cooling reservoir and electronic suspension sensors, all under the bright lights of a brand new auto workshop in the heart of Marine Corps Base Camp Pendleton, north of San Diego. “I like to play with cars. I always fix everybody’s cars in the neighborhood,” he said. After 23 years deploying all over the world and training recruits as a Marine drill instructor, Lopez is focused on the next chapter: his career after the military. 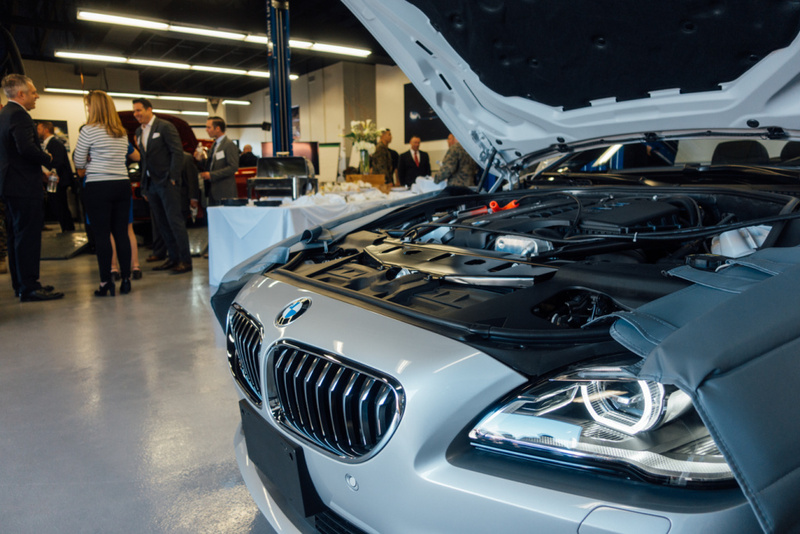 He’s part of the inaugural class of the BMW Military Service Technician Education Program, or MSTEP, the first training program of its kind for a luxury automaker on a military installation. 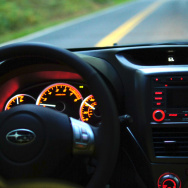 The car maker is partnering with Universal Technical Institute to offer the 16-week course free to active duty servicemembers getting ready to transition out of the military. Marine Corps Master Sgt. David Lopez is a car enthusiast with 23 years in the military. He's learning to work on BMW engines as part of the inaugural class of the Military Service Technician Education Program at Camp Pendleton. Servicemembers accustomed to tackling difficult missions face a daunting challenge as they wind down their time in the military. After years of following orders and fitting into the structured hierarchies of service branches, it’s not always easy for separating troops to design a post-military career path. Since 2011, the Pentagon has been beefing up transition training—making it mandatory, and including more real-world training to better prepare servicemembers for the civilian job market. The effort is getting a boost from the private sector. A growing number of companies are looking to fill increasing demand for skilled workers by opening training centers on military bases. The Department of Defense began inviting firms and labor unions to provide internship and apprenticeship opportunities to transitioning servicemembers through its SkillBridge program in 2014. 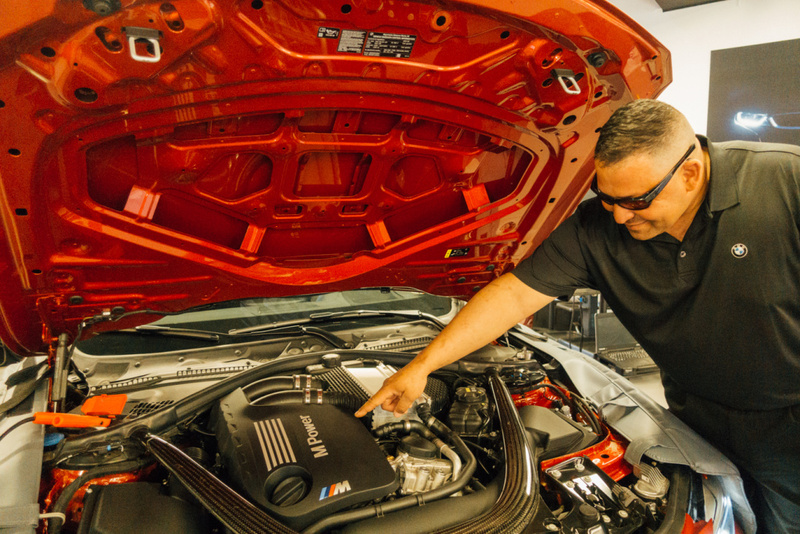 Graduates of the Camp Pendleton BMW MSTEP will be certified level 3 BMW technicians familiar with technology and diagnostics specific to the brand. For Lopez, that official recognition makes a difference. After completing the course, MSTEP students will be matched with job opportunities at authorized U.S. BMW dealerships. The company says there are plenty of opportunities waiting. BMW is facing a shortage of skilled technicians to work on their cars, and that’s a big part of what’s driving this. It's looking to expand the pipeline for training workers. 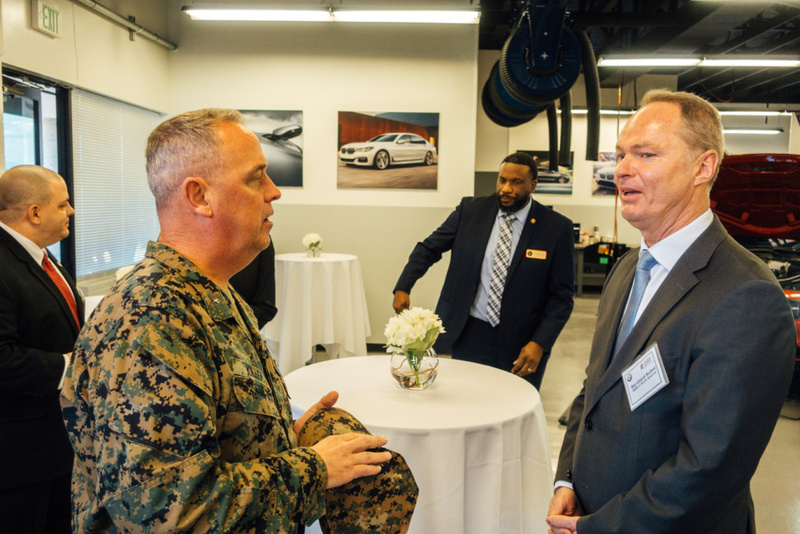 Brigadier General Kevin Killea (left) and Bernhard Kuhnt, CEO of BMW of North America. To be selected for the program, students have to be in their final 6 months of service, pass a written exam, and interview. Lopez is low-key about this transition, but there’s a lot at stake for his family. 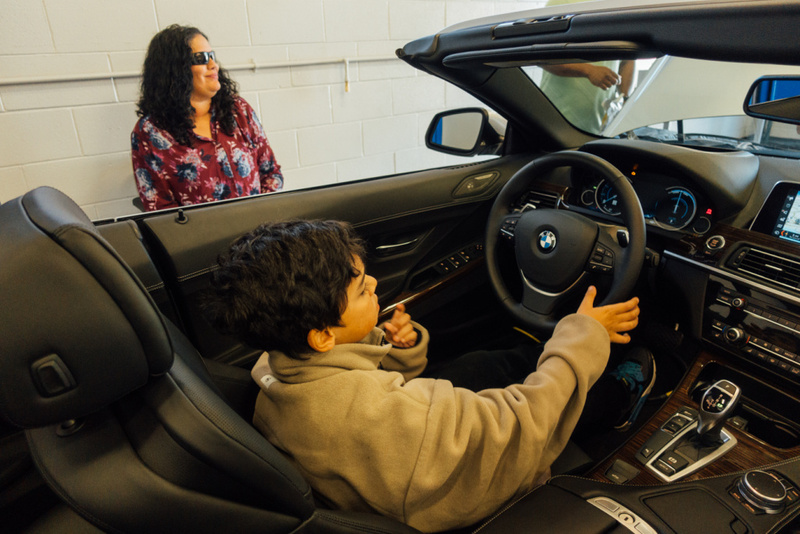 Lizzie Lopez and son check out a car at the opening of the BMW MSTEP at Marine Corps Base Camp Pendleton. The family is planning for everyday concerns they’ve never had to worry about living on military bases all over the world-things like housing, health insurance, and financial stability for their two sons. Brigadier General Kevin Killea, commander of Camp Pendleton, said there is no easy time to make the jump to civilian life. According to Killea, the Marine Corps transitioned 31,000 Marines to the civilian sector last year. Nearly 9,000 of those came from Camp Pendleton. Each Marine getting ready to leave the military goes through the mandatory Transition Readiness Program, which includes making a financial plan and going to classes on topics like resume writing and interviewing. Some get the chance to participate in programs like MSTEP to develop skills that are in-demand on the job market. Killea said there are currently nine such programs with internship-type models for skills development at Camp Pendleton, including job placement help at the end of the course. BMW is not alone in looking to train and hire on bases. In January, Microsoft opened its latest Software & Systems Academy at Marine Corps Base Quantico in Virginia. The program started in 2013 to train transitioning troops to be cloud developers and database administrators. It now boasts an employment rate of over 90% and an average starting salary of around $70,000. 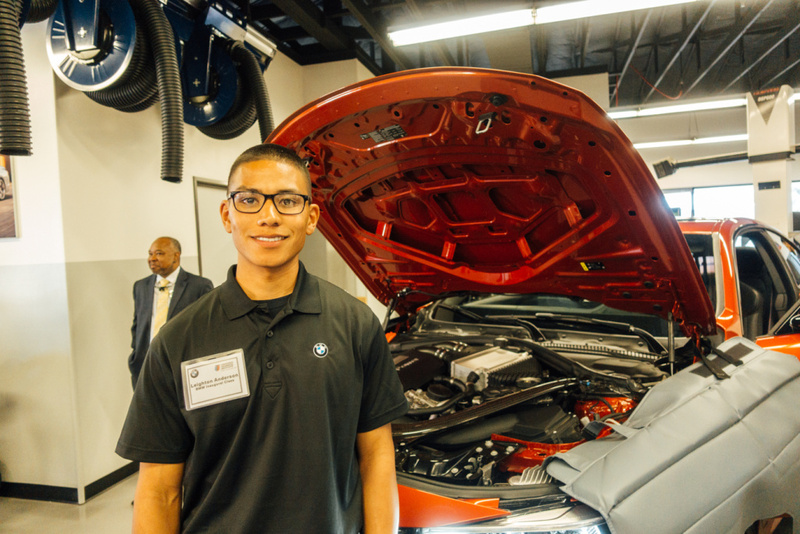 Leighton Anderson is a student in the first BMW MSTEP class at Camp Pendleton, studying to become a Level 3 Service Technician for the luxury car maker. Marine Corporal Leighton Anderson is steeped in that military culture, and he’s accustomed to working with advanced machinery. The 22-year-old from Gardena served as a Crew Chief on an MV-22 Osprey. Ospreys have greater range and are much faster than helicopters. They can also be refueled mid-air. Anderson is responsible for maintenance and inspections on this multi-million dollar piece of equipment. He’s been a Marine for over four years. But for the past 13 months, he’s been focused on recovery in the Wounded Warrior Battalion at Balboa Hospital in San Diego. Anderson was in a December 2016 Osprey crash that left him severely injured. It happened off the coast of Okinawa, Japan, during mid-air refueling. 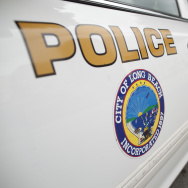 “It was a bumpy glide down to a crash landing on the beach,” he said of the incident that left him with numerous injuries, including a traumatic brain injury, broken right shoulder blade, right hand, and left foot, broken ribs on his left side and a collapsed lung, plus a burst eardrum, and nerve damage to his right eye. Now Anderson’s recovery is giving way to a new challenge: transitioning back to civilian life. He said the Marines have taught him a lot, but it’s time for the next chapter. His commanders are giving him time to focus on his MSTEP training. 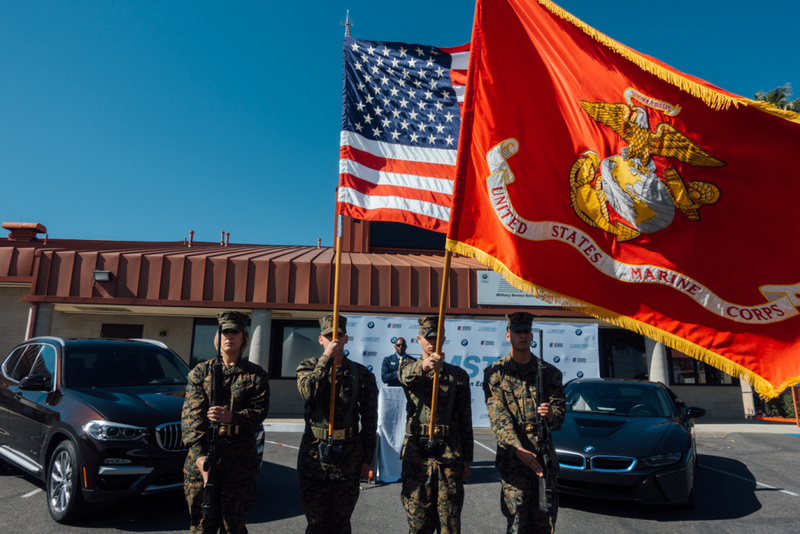 Ribbon cutting ceremony for the opening of the BMW MSTEP Program at Camp Pendleton. 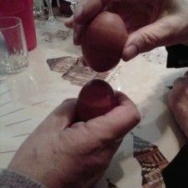 He believes it’s a natural fit. The Osprey is “fly-by-wire”—meaning everything is electrical. And that’s increasingly true with high-end sports cars like BMW. David Lopez knows he has a lot to learn, but the former drill instructor said he’s ready to be a rookie again. Classes for the first nine MSTEP students begin next week. BMW's Kuhnt said there are already 40 students on the waiting list. 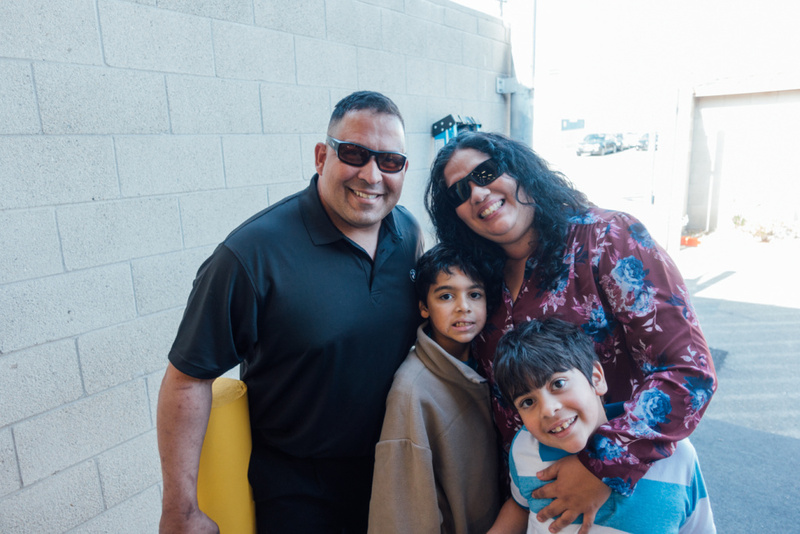 The Lopez family attends the opening of the BMW Military Service Technician Education Program at Camp Pendleton. Master Sgt. David Lopez is part of the inaugural class learning to fix the luxury autos.